MMD will be hosting their 1st Annual TAW Wide Meet & Greet, taking place at QuakeCon “Year of Doom” from 25-28 July 2019 in Dallas, TX. 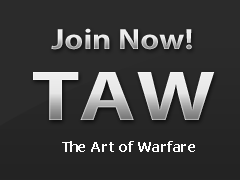 We would like to invite you to join us in meeting members of TAW! Welcome to the best LAN Party in the world… now with even more DOOM! To commemorate DOOM’s 25th anniversary, QuakeCon’s four-day event will include all-new DOOM-inspired activities, events, exclusives, developer panels, hands-on demos, new information about DOOM Eternal, and a few surprises – all while continuing to feature everything you already love about QuakeCon. 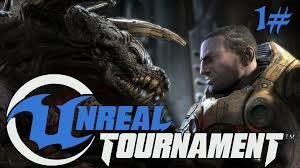 That’s right… you’ll still get Quake tournaments, exhibits, panels, updates on all the latest games from Bethesda – and, of course, a massive, round-the-clock LAN Party unlike any other. 2) Whom want to be apart of QuakeCon and do something else as well (Paint balling, BBQ, Escape Room?). Plan to have an initial meeting on 11 May @ 1pm CST / 8pm CET, to discuss interest level, logistics, tickets, itinerary and much more. So be sure to be there! For other information on the QuakeCon, please click the following links: Dallas/Ft Worth Airport, QuakeCon Lodging. Weekly updates have been rolling out regarding our progress for the Give 5 Fundraiser. 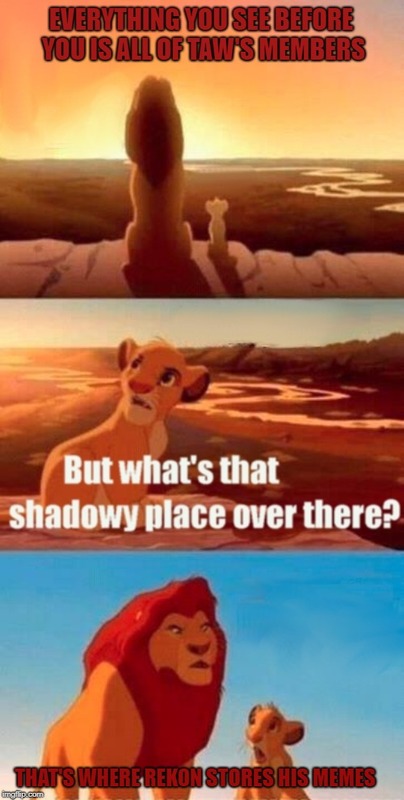 For those who have missed them and your weekly dose of meme’s, here’s the most recent. That’s right, the fundraiser has been extended to May 5th’s TFO Meeting as per Cherry’s Post. To sweeten the pot, There’s a medal up for grabs. The Division that raises the most funds, per capita, will receive a Divisional Fundraising Medal to show off the dedication to our community. Below you can see how to make a donation and also see our “Tracking Thermometer”. The goal this year is as if each TAW member was able to “Give $5”. If you can give more than $5, feel free to donate for your friends. It all goes back to our community, to our TAW Family. So May the 5th be with you, and please donate by then. The 2019 annual TAW Fundraiser will be extended two weeks. The official end of the fundraiser will be on Sunday May 5 at the TFO meeting. Wanna earn a medal for your entire division? Divisions that raise the most, per capita, will receive a Divisional Fundraising Medal to show their dedication to our great community. We've added a couple of weeks to give Units time to earn the medal. Good luck and God Speed and thank you all that have given. For MMD's April forum event, we're hosting a drawing contest. We encourage Creativity, so try to be as creative as you can be! The event will last from 1st April until 3rd May! Yourself, but as a hybrid with an animal or mythical creature. A small text about your creation: Why do you see yourself as your creation and what was your inspiration? Can't wait to see all of your hard work and fantastic ideas. E-mail them all to loginner@taw.net or evodeviant@taw.net and i'll see them soon! We are currently looking for some great new talent to join MMD! 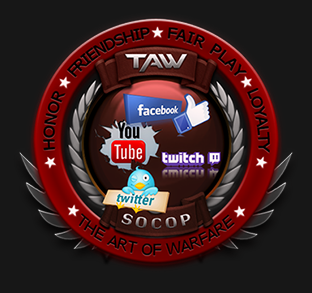 For those who are not familiar with the MMD our goal is to make sure that things are running smoothly in regards to Social Media, TAW-Wide Events, Video Development, The PIA Corps, TAW Radio as well as a wide range of multimedia projects. For the Social Media Lead and Team Members, we are looking for somebody who is familiar with Social Media (Twitter, Facebook, Instagram, and Reddit) a few skills that are beneficial to the position would be writing skills, SEO knowledge, a willingness to learn, an enjoyment of gaming and at least 5 hours a weeks for team members and at least 8 or more for the lead. For the Event Team Member, we are looking for somebody who is open to new ideas and who is willing to help create amazing events for TAW members. Some skills that will aid you in this position would be any knowledge of events or tournaments and some basic skills with post creation. For the Video Development Team Members, we are looking for people who can edit videos as well as being able to upload edited content as needed! 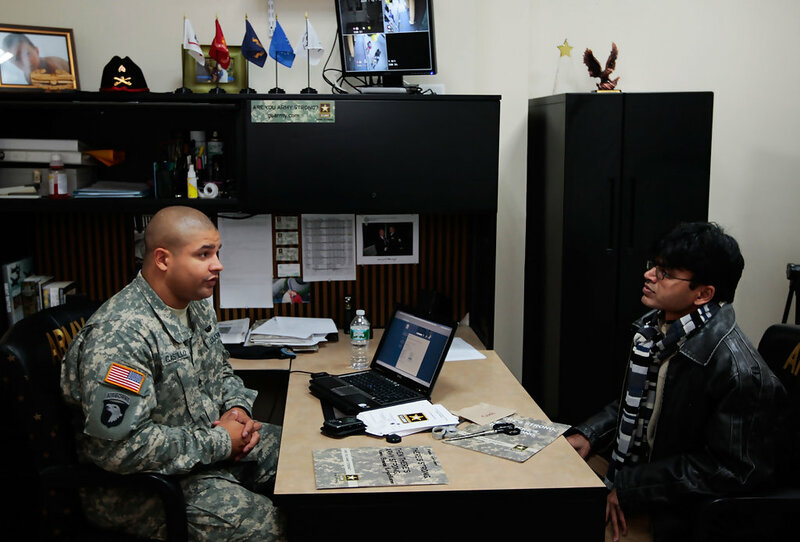 Any additional experience in YouTube or video development is highly beneficial to the position! If you are interested please email EvoDeviant@TAW.Net or look for EvoDeviant on the MMD TeamSpeak Channel! Our Give 5 Fundraiser on Sunday March 24th and after just one week, big thanks goes out to those who have already donated. Our Annual Give 5 Fundraiser is all about giving back. Members donate $5 and/or buy a Give 5 Product from the Shop. 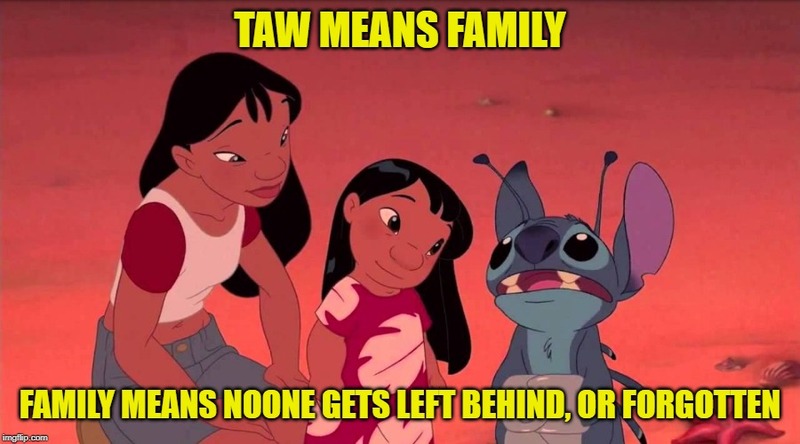 What we get, in turn goes back to TAW. It’s a fundraiser by our people, for our people. It’s that time of year again folks, where we do the biggest annual kick off, one that’s more important than the Superbowl! 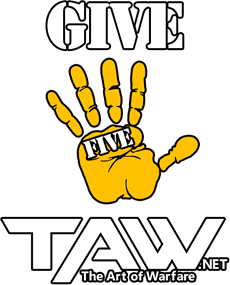 That’s right, the Give 5 Fundraiser! 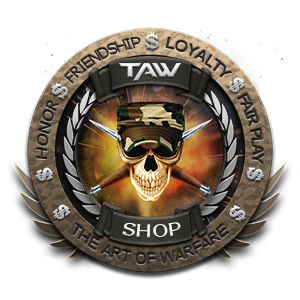 Donate by purchasing the official TAW Give 5 Tee/Hoodie: By purchasing a product from the EU or NA TAW Shop with the Give 5 Logo on it, it will qualify as if you have donated $5. Please fill in the Give 5 Shop Verification Form if you have purchased a product with the Give 5 Logo on it. For more detailed information, you can always contact us on Teamspeak, for further questions. Please email MrRolandos@taw.net and nonameboyz@taw.net . Please fill out this form for us to investigate how members are recruited to our great community. If you've done it in the past, no worries..its recorded. Friday 15 March 2019 officially marks the 18th birthday of our great community. 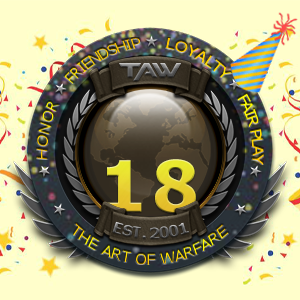 On March 15th of 2001, the first website for TAW was launched thus creating a great history of Honor, Friendship, Loyalty and Fairplay. Although many members have come and gone, every single one has contributed to our continued success. Look for a Birthday channel up in the lobby and/or in the TAW Leadership channels. Be sure to lift a glass, share with friends and celebrate this astonishing accomplishment. The TAW SHOP has been around for quite some time. Some people know of it, and to some, it may come as a surprise that we actually have our own store. Division Commander: Rekon - Runs the Shop, addresses any potential issues or ideas TAW related regarding Shop. 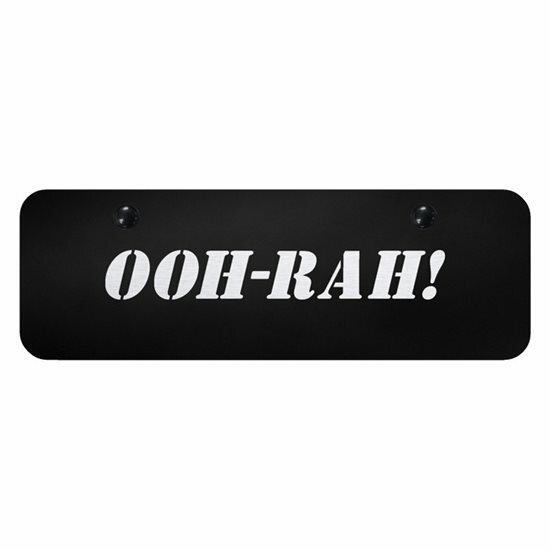 In charge or organizing Shop, designs, works with TFO's & CC's to create designs for Division/Corps Wear. PIA: Wildfirefly - Our guru when it comes to advertising for the Shop. Wildfirefly is our go to for upcoming blog posts and social media. 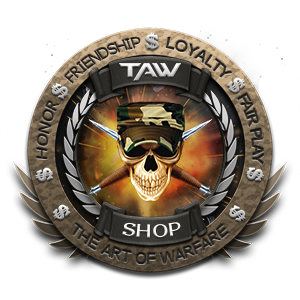 There is a special Shop related event in the works, keep an eye on the forums and blogs because it's going to be TAWsome! The meme's will continue to flow!